BRYAN EATON/Staff Photo. 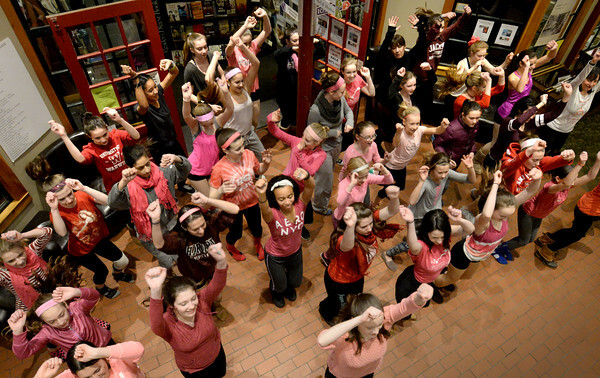 Young women and teens dance in the lobby of the Tannery Marketplace yesterday afternoon as part of the "One Billion Rising" rally around the world. Sponsored locally by the Jeanne Geiger Crisis Center the global movement is an action to end violence against women.